Reeling in a “big one” is a thrill not reserved for the professionals. Even a novice, who baits his hook with nothing more than a worm and a prayer, can pull in a remarkable fish. That’s what’s so wonderful about fishing—the inclusiveness of it. Regardless of gender, regardless of age, regardless of status or skill, anyone can fish; anyone can create memories that last a lifetime. 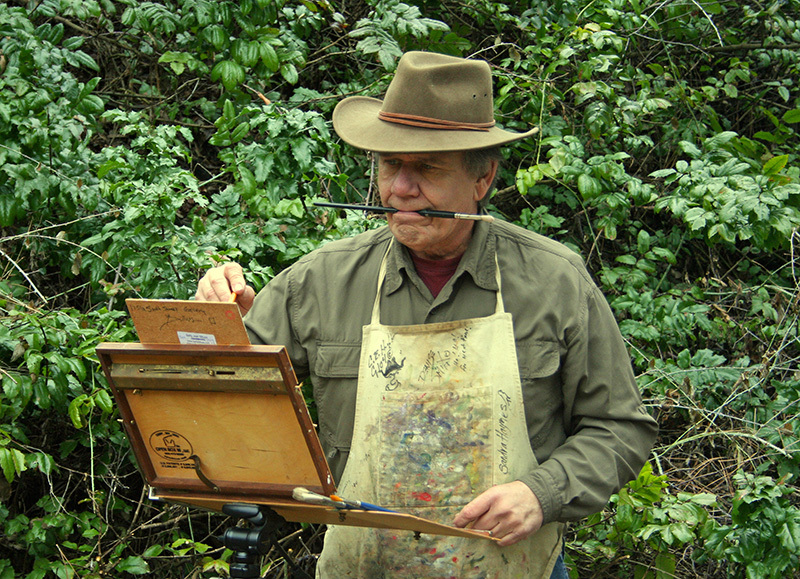 “I can’t think of a better way to make memories,” says professional artist George Traicheff. In 2019, the Great Falls Chapter of Walleyes Unlimited selected Traicheff as the featured artist for the club’s annual banquet and art auction. His original acrylic painting titled Making Memories (pictured on the cover of the Walleyes Unlimited Banquet insert within) reflects the objectives and values that Walleyes Unlimited holds dear. Making Memories features a man dock fishing with his son and daughter. All three are gathered closely with the family dog, enjoying a day of sunshine and sharing in the tranquility of nature. The heartwarming scene, painted in an ethereal hue, is one informed by the artist’s own childhood experiences. “I’m not much of a fisherman anymore, but when I went fishing with my grandfather, those were some of most enjoyable times in my life,” says Traicheff. “If children don’t have good activities like fishing, that can translate into a bad adulthood.